Use exosomes to deliver protein, RNA, DNA, or small molecule cargo to neurons with XStamp-NCAM. The patented XStamp technology is an optimized, exosome surface display system that efficiently places protein sequences on exosomal surfaces. The XStamp-NCAM Lentivector fuses NCAM sequences to the XStamp tag, ensuring that exosomes display the NCAM homophilic binding domain on their outer surface. Exosomes made from cells transfected or transduced with the XStamp-NCAM Lentivector will now be targeted to NCAM-expressing cells. XStamp is based upon a C-terminal fusion of the C1C2 domain from the protein MFG-E8, which is targeted to the exosome surface. Protein sequences that are fused to the XStamp tag will efficiently display the protein ligand fusion on the surfaces of secreted exosomes. Figure 1. Both XStamp-NCAM and XStamp-BHP1 can target exosomes to neurons. METHODS: The XStamp-NCAM Lentivector (Cat.# XSTP721PA-1) and the XStamp-BHP1 Lentivector (Cat.# XSTP722PA-1), were transfected separately into mouse MSCs along with SBI’s XPack-GFP construct (Cat.# XPAK530PA-1), which packages GFP into the interior of exosomes to enable fluorescent tracking. 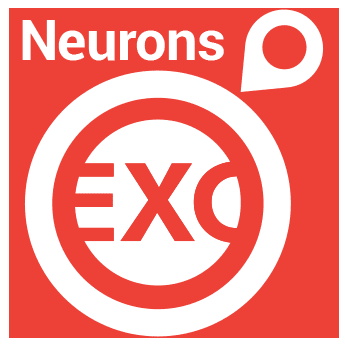 Exosomes were isolated after 48 hours, and added to Neuro2a neuroblastoma cells in culture. The neurons were monitored for GFP delivery using phase and fluorescence microscopy after a 24-hour incubation.